Savvy Rest Natural Bedroom is your Northern Virginia destination for natural latex mattresses, naturally-finished bedroom furniture, customizable pillows, and organic bedding. Visit us on Maple Avenue East in Vienna. Savvy Rest Natural Bedroom offers everything you need to create your beautiful, healthful bedroom. 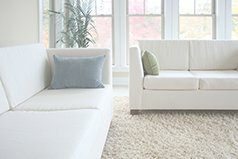 Products include customizable organic mattresses, organic sofas & armchairs, top-quality organic bedding, naturally-finished bedroom furniture, accessories—even organic pet beds—all made by our employee-owners in Central Virginia. Conveniently located in historic Vienna, VA on Maple Avenue East/Route 123, Savvy Rest Natural Bedroom is less than three miles from the first-class shopping at Tyson’s Corner Galleria. You can reach us easily from I-495 from the Tyson’s Corner/Rte. 123/Chain Bridge Road exit, or from I-66 off the Vienna/Nutley exit. And we're only 2.5 miles from the Orange Line - Vienna Metro Station. Since opening in 2011, we're proud to have grown Savvy Rest Natural Bedroom into more than just a retail store. Learn more about our charitable endeavors, community partnerships, and diverse staff.